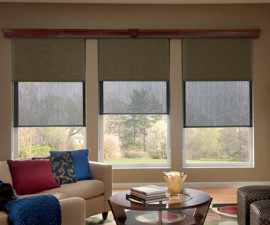 Solar Shades are a lovely alternative to standard window treatments. There are a multitude of benefits that make Solar Shades a great choice for homes that are blessed with beautiful views or windows located where sunlight streams in. 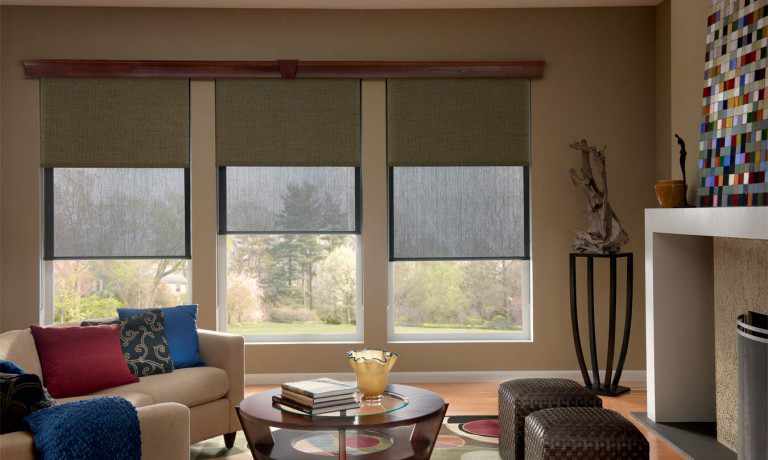 These shades can be a great option for anyone though and at DECO Window Fashions, we’ll can help you decide. This article will hopefully answer any basic questions you may have about the Solar Shades window treatment. If you have any questions about whether this is the right window treatment option for you, you can always call or visit us at our store in Austin, Texas. Solar Shades are a roller shade made of woven fabric – woven tight enough to block out some sunlight but open enough to see through. Solar Shades are a window treatment that protects the inside of the building. Instead of the sun’s rays penetrating the window and entering the room, the rays are reflected and absorbed by the Solar Shades. Solar Shades come in a range of openness – the smaller the opening the less likely you’ll be able to see through either side of the shade. 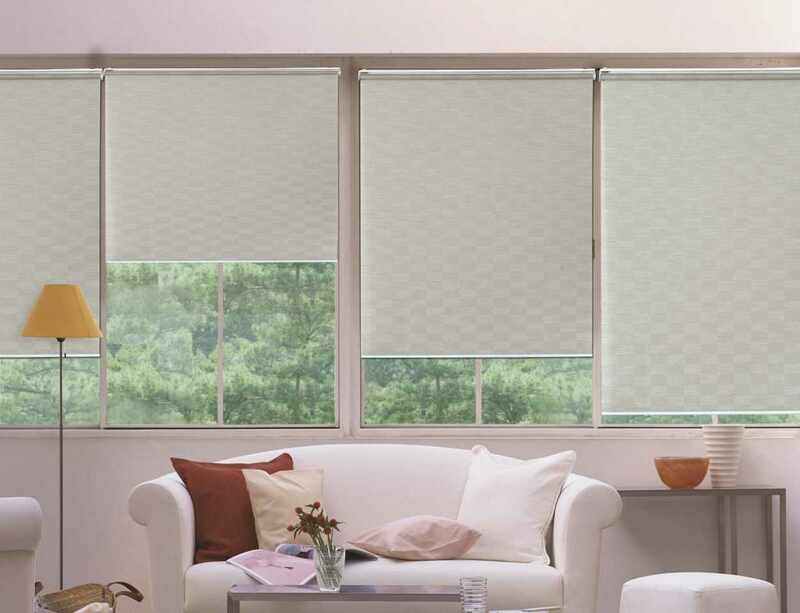 While standard window treatments completely block your view when they’re closed, Solar Shades allow you to look outside without worrying about the sun hitting your eyes. We can help you determine what particular percentage is the best fit for your home needs. Solar Shades have a lot of great attributes that would be beneficial to any homeowner. These benefits cover a range of issues, from long-term savings to decorative benefits. Solar Shades save time, energy, and money. Solar Shades can reduce energy costs by at least 15%. They reduce energy costs because Solar Shades decrease energy transference. This means they keep your house cooler in the summer (by reflecting and absorbing the sunlight so it doesn’t enter the house) and warmer in the winter (by making it difficult for heat to escape the house). This, obviously, can save you a lot of money in the long-run. Solar Shades also reduce glare – making it easier to computer or tv screens. This is particularly useful for certain rooms like the family room or study. Solar Shades can also be motorized which is useful for those who are unable or don’t want to operate their shades by hand. Solar Shades are also made with UV resistant, antimicrobial, flame retardant materials. The UV resistance helps protect your furniture from being slowly damaged by the sun’s rays, the antimicrobial helps keep your home clean, and the flame retardant material helps your home prevent fires from spreading quickly. Solar Shades are beautiful, streamlined shades that work with any room, adding a touch of sophistication to a home. They work well with nearly any decorating style. Solar Shades allow you to block the sunlight and glare but also see the view, something no other window treatment offers. Lastly, Solar Shades can be made up of 100% recyclable, biodegradable materials. These materials can have a 20 year life span. This is perfect if you’re interested in both saving money and being eco-friendly. The only con Solar Shades have is related to privacy needs. If you’re worried about privacy, Solar Shades might not be the right fit for you – or at least not for every room in your house. This is because people can easily see into your home through any window utilizing these shades. This is especially true at night if you have inside lighting turned on. However, this can can be fixed if you choose the lower openness levels (1-3%). Or you could also pair the Solar Shades with another window treatment option such as draperies or curtains for increased privacy. Solar Shades are a great option for everyone. These energy-efficient shades are beautiful and save you money long-term. Not only that, but you can enjoy a beautiful view and remove glare – all really great benefits especially for a room that receives a lot of direct sunlight. 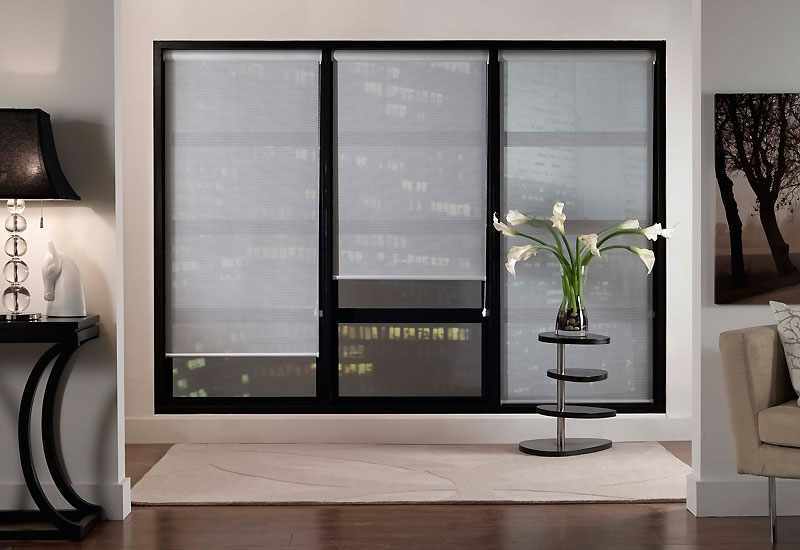 At DECO Window Fashions, we have Solar Shades and many other window treatment options at your disposal. Contact us at (512) 250-8600 to find out if solar shades are the best option for your home, or visit us at our store in Austin, Texas.